This episode was written & produced by Miellyn Fitzwater Barrows and Carolyn McCulley. 20K is made out of the studios of Defacto Sound and hosted by Dallas Taylor. For being only three tiny notes, the NBC chimes have had a colossal impact on media and culture for nearly 90 years. It was back in the late 1920s when NBC started using this for the first time to identify itself on the radio. They became so iconic and so popular that they became the first sound to ever be awared an audio trademark and that’s hard to get. Take, for example, the Harley Davidson engine sound. After six years of litigation and challenges from other companies they withdrew their application. Courts also denied Motorola’s request to trademark its chirp, saying that, among other things, they didn’t do a good enough job promoting it as an actual sound mark. Budweiser even tried to trademark the sound of an opening beer can. I think I’m gonna go with the courts on this one. So, there are only about 100 sounds that have actually, officially, become U.S. trademarks and most of them are incredibly iconic. Rick Greenhut: The concept of a trademark is that it's something that's generally accepted that can't be confused with something else that you can make the case represents your product. That’s Rick Greenhut. He used to work for NBC and was actually the last person to ever officially play the chimes on the NBC radio network. Rick Greenhut: An audio trademark that doesn't have any lyrics in it - it’s very hard to say, “Well, this represents my product.” And the reason NBC could actually trademark that is they’d been doing it for 40 years before anybody thought to trademark it. Today, whenever you think about branding, you think about the visual mark, the visual logo, but back in the 1920’s the most powerful form of mass communication was the radio. The only way you could brand yourself would be through sound. Rick Greenhut: Anybody who heard that in the 50s or 60s would instantly know it was NBC. The chimes were everywhere. They were so popular that they even appeared in some pop songs. This is Announcer’s Blues recorded in 1936 by Paul Whiteman and his Orchestra. The artist behind this next, NBC I Love You, remains a broadcasting mystery. To understand where the chimes came from, we have to go back nearly a century. John Snyder: Stations were using chimes, gongs, all kinds of different musical devices to create a sound signature for themselves. This is John Snyder, a radio historian. Chimes in particular would have been an easy choice due to how common they were. Dinner chimes were often used to summon guests to the table and it was also used to indicate the start and stop of intermission. John Snyder: NBC created a seven note sequence. The idea was that at the end of each program the announcer was at the microphone and was saying this is the national broadcasting company would strike a seven note chime sequence on a set of handchimes that he held next to the microphone. As you can imagine, since this was being played live by the announcer, it was really hard to keep consistent. So, they shortened it to three notes. John Snyder: Originally the three notes were CAF, which had the same sound that we know today, just in a different key. Eventually they used the notes GEC. Which some people think stood for the General Electric Company. That would have been the coolest branding story having the GEC chimes stand for the General Electric Company, but we couldn’t find any proof of that. Most historians think it was a coincidence. John Snyder: Eventually because it still wasn't being done uniformly on the hand chimes, they went to an electronic device. NBC hired electronic organ pioneer Capt. Richard Ranger to build more of an automated system for playing the chimes [play chimes]. Not only did the chimes serve a branding purpose, but it also solved a really big technical challenge. Rick Greenhut: When they would change studios, they would be literally plugging and unplugging these patch cords and it would make clicks and pops on the air. Since we and each show with the chimes, each studio would have a take control button and the chimes button. When you push the chimes button it would take that studio off the air under the sound of the chimes so you didn't hear the click. Aside from its iconic cultural status, the NBC chimes also played a really important role in history. Outside of radio the only form of mass communication was through newspaper. John: and all of the people who were pioneers they had to invent techniques that we take for granted today. It must've been a fascinating time to participate in the birth of modern electronic media. Radio broadcasting became an essential resource for the public during World War II. For the first time in history news from the front lines of war could become available to the mass public in near real time. John Snyder: Radio had discovered its importance as a news medium and not just an entertainment medium. During the war, NBC added a fourth chime to covertly notify announcers that important breaking news was imminent. John Snyder: If the normal chime was GEC, at the end of the program they would play the chime GEC-C.
John Snyder: That fourth note, which probably most of the radio audience never even noticed, was a cue to the radio stations pay attention and listen on the line between the program and be prepared for something momentous to come along. During the invasion of D-Day, the NBC fourth chime was played along with the Morse code sound for letter V indicating that the invasion had just begun. Thankfully, the fourth chime was only played a handful of times in the history of the network. NBC was huge. All of the other networks were still up and coming so NBC commanded all of the top talent. Rick Greenhut: People who were getting the ratings and the people were the next days watercooler conversation that would be the radio show from NBC the night before. So NBC to me always had seemed like a Cadillac brand. It was a brand whose name you remembered, whose logo you could picture and when you heard the sound you pictured the logo, when you saw the logo you heard the sound in your mind. The NBC chimes, at least on the radio, came to a close in the late 1980s, when Rick Greenhut played them for the last time on the 9 o'clock news. 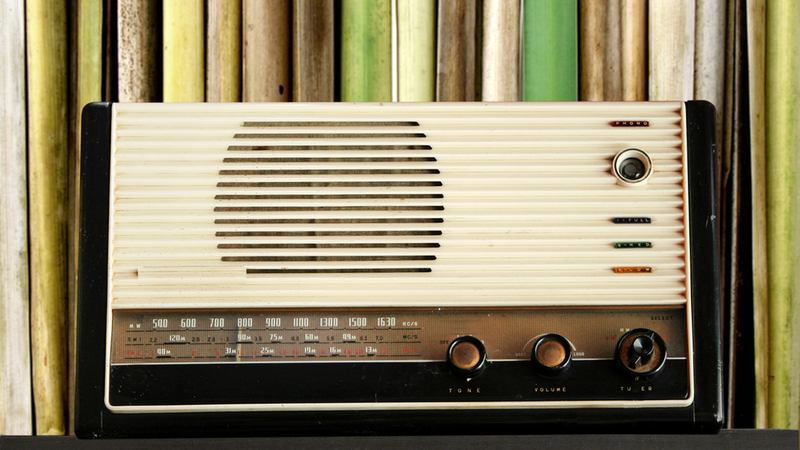 GE acquired NBC radio through the purchase of RCA. This meant that NBC radio no longer operated as its own entity. Rick Greenhut: The NBC chimes were not part of the sale because they’re the NBC chimes and the TV network is keeping those. The 9 o'clock hour comes we do the network newscast and at 9:05 - 30 the newscaster says, “Gary Nun, NBC News New York.” I played the chimes. I then pulled that tape cartridge out of the machine where I played it. Well, no sooner had I had gone that, general manager shows up. He just looked at me and he said, “Make sure no one else can do that.” I did that by taking the tape cartridge home. It’s sitting on my shelf. The NBC radio network came to a close, but obviously the chimes still live on through promos and special programming and news, but this sound is bigger than Comcast or NBC or General Electric. It’s something that’s deeply embedded and weaved through our history. Through the good, to the bad, through the most important moments of our collective lives together. This sound has been with us for almost ninety years. It started as a sound that just fixed a small problem, but has become something that is completely ingrained in our culture. Twenty Thousand Hertz is presented by the Defacto Sound, a sound design team dedicated to making television film and game sound insanely cool. Find out more at defactosound.com. This episode was produced by Carolyn McCulley, Sam Schneble, Colin DeVarney, Miellyn Fitzwater Barrows, and me. It was sound designed and mixed by Colin DeVarney. A very special thanks to Rick Greenhut and John Schneider for lending their expertise. Our artwork was designed by Mast, studiomast.co. And our website is by Pocketknife. For more information about us, and to find our social accounts and to subscribe go to 20k.org. We’d love to hear from you. We’d love to get your feedback and hear your suggestions for future episodes. Finally, we could use your help. Our mission is to get people excited about what they hear everyday. We need your help to get these stories out there and there’s a bunch of really cool free things you can do to help us. Most importantly, subscribe. That way you get the show as soon as we put it out. Also, consider telling a friend and we’d be honored if you shared some of our shows on social. Thanks for listening.